Megan is from Boyds, MD and is currently pursuing a B.S. in Neurobiology and Physiology. In the future, she hopes to go to medical school to pursue a MD. On campus, Megan is involved in intramural sports and clubs such as Students Helping Honduras. In her free time, she enjoys volunteering at her local fire department, reading a good book and taking hikes with her dog. 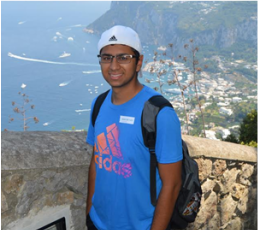 Vishy is from Perry Hall, MD and is pursuing a degree in Bioengineering on the Premedical track. 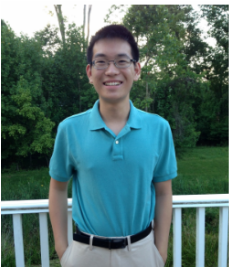 After completing his undergraduate degree, he plans to pursue an MD and apply his bioengineering knowledge in the medical field. On campus, Vishy is involved in Club Tennis, the Student Government Association, and the Gift to Uplift organization. In his free time, he enjoys Mexican food and traveling around the world. Morgan is from Verona, NJ and is currently pursuing a B.S. in Bioengineering. In the future, she hopes to obtain a Ph.D. in Bioengineering and participate in scientific research that will one day take humans to Mars. On campus, Morgan works in the Tissue Engineering and Biomaterials Lab and has been focusing on 3D bio-printed scaffolds for tissue regeneration. In addition, she is involved with Gymkana (a gymnastics and acrobatics team), Engineers Without Borders, and The Catalyst. In her free time, she enjoys eating mac and cheese, spending time with friends, and attempting to pet the south campus squirrels. Katherine is from Montgomery Village, MD and is pursuing a degree in Biomedical Engineering and pre medicine. After completing her undergraduate degree, she plans to pursue a MD and PhD in Biomedical Engineering with the intent to study regenerative medicine. On campus, Katherine is involved with The American Medical Student Association as the Fundraising Chair, America Reads America Counts as a math mentor, and with the non profit Gift to Uplift providing free books to children in long term medical care facilities. In her free time, Katherine enjoys biking around campus, playing intramural soccer, and drinking chocolate milk. Shireen Khayat is from Clarksville, MD and is pursuing a B.S. in Bioengineering. After graduation, Shireen hopes to use her background in bioengineering in order to develop and innovate modern treatments and disease prevention techniques. On campus, Shireen is involved in Public Health without Borders, Resident Hall Association, Arab Student Association, and Iranian Student Foundation. 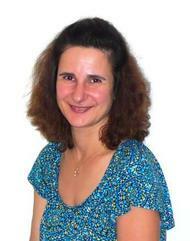 In her spare time, Shireen enjoys travelling, visiting National parks, playing piano, and reading. 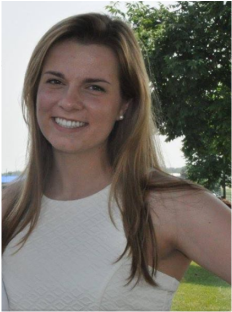 Madeleine is from Silver Spring, MD and is currently pursuing a B.S. in Bioengineering. After completing graduate school, she hopes to conduct research in the field of immunology or neuroscience. On campus, Madeleine is involved in Public Health Without Borders and Terrafins. 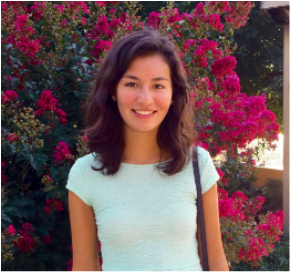 In her free time, Madeleine enjoys reading, running, traveling, and trying new restaurants. Sahana is from Centreville, VA and is currently studying Computer Science with a concentration in Biology. Her goal is to use artificial intelligence and develop software to solve healthcare and medical problems. When she’s not spending all night in McKeldin coding, you can find her hanging upside down in Gymkana’s gymnastics gym, or rewatching old episodes of Grey’s Anatomy. She also enjoys hiking, painting, and cooking. 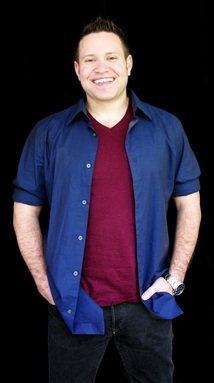 Dr. Ryan D. Sochol currently works at the intersection of micro/nanoscale engineering, chemistry, and biology as an Assistant Professor of Mechanical Engineering within the A. James Clark School of Engineering at the University of Maryland, College Park. Prof. Ryan Sochol’s Bioinspired Advanced Manufacturing (BAM) Laboratory utilizes micro/nanoscale 3D printing approaches to solve mechanically and physically-complex biological and biomedical challenges, with a focus on creating “Organ-on-a-Chip” living systems that mimic the physiological architectures, biophysical characteristics, and functions of organs in vivo. Prior to joining the faculty at the University of Maryland, College Park, Dr. Sochol served two primary academic roles: (i) as an NIH Fellow within the Harvard-MIT Division of Health Sciences & Technology, Harvard Medical School, and Brigham & Women’s Hospital, and (ii) as the Director of the Micro Mechanical Methods for Biology(M3B) Laboratory Program – a division of the Liwei Lin Laboratory – within the Berkeley Sensor & Actuator Center at the University of California, Berkeley.